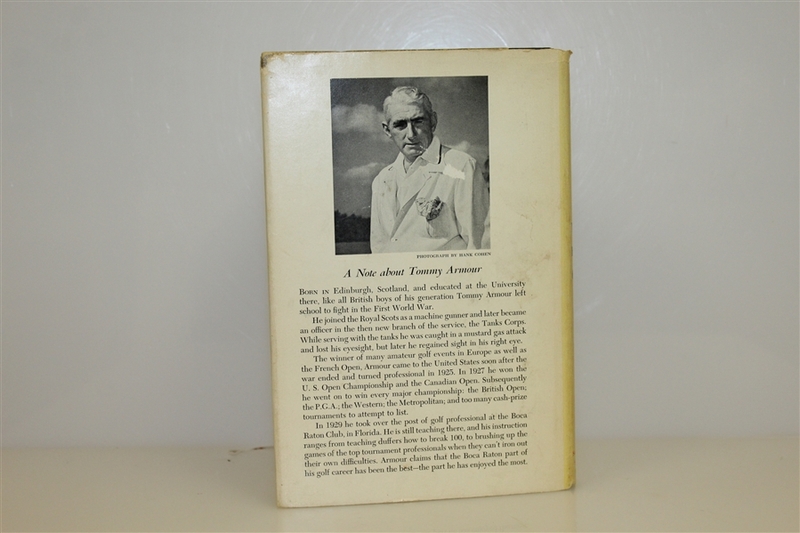 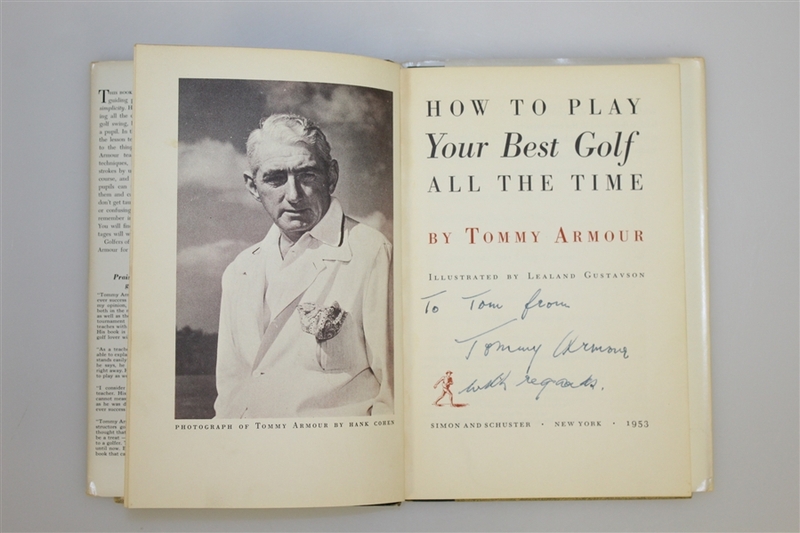 Tommy Armour was known as the "Silver Scot" winning 3 Majors - the 1927 US Open, the 1930 PGA Championship, and the 1931 Open Championship. 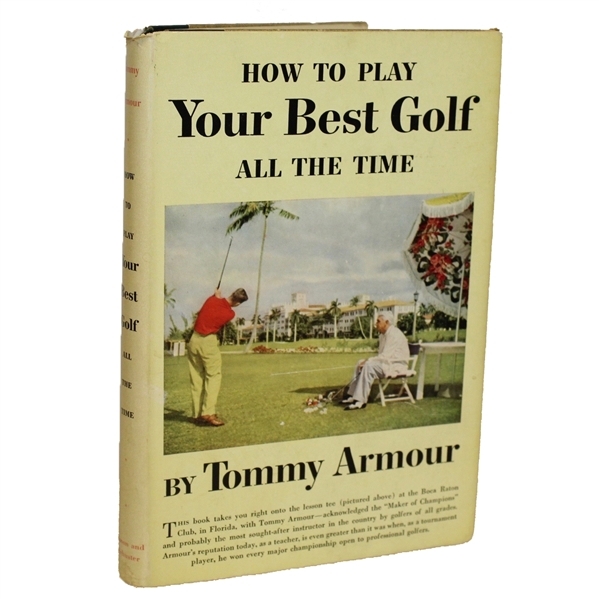 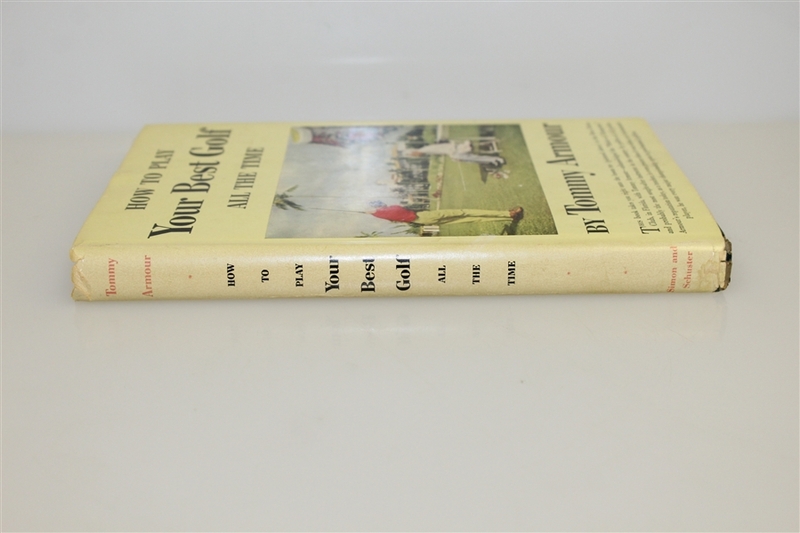 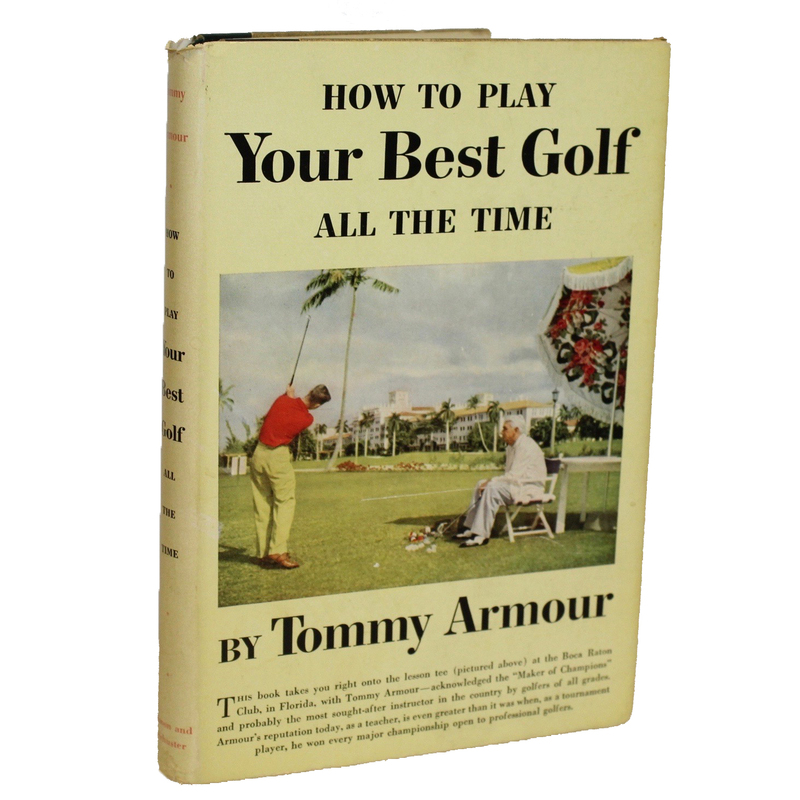 Displayed is his book "How to Play Your Best Golf All The Time". 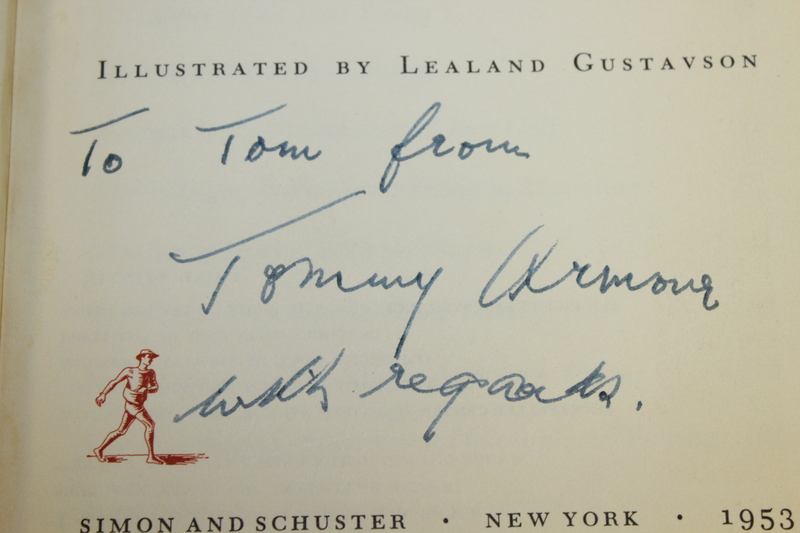 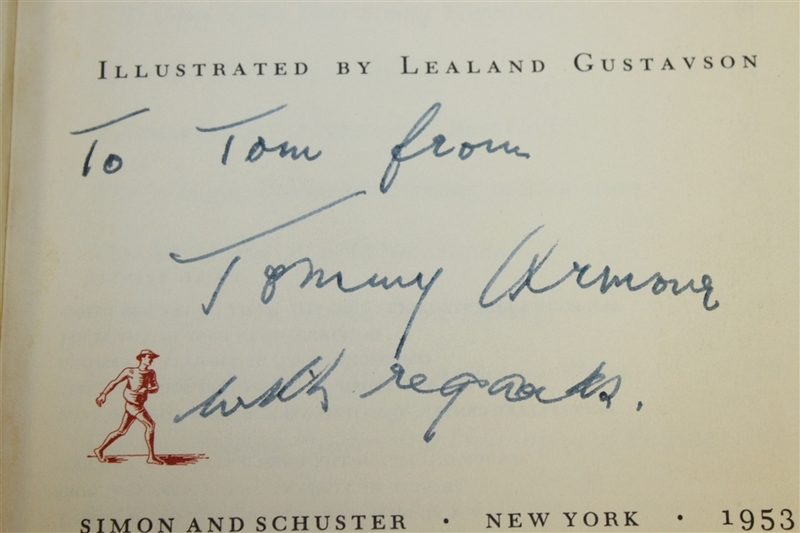 On the inside cover page, you will find Tommy's signature inscribed in blue pen and he addresses the book to Tom. 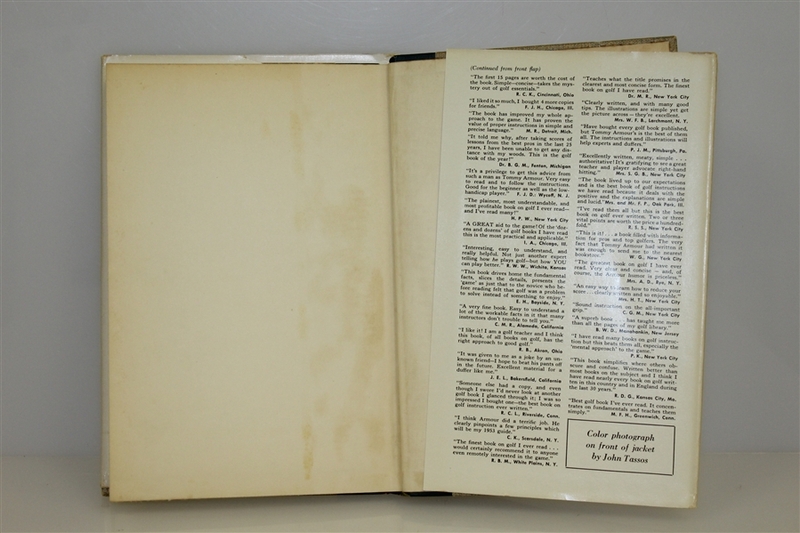 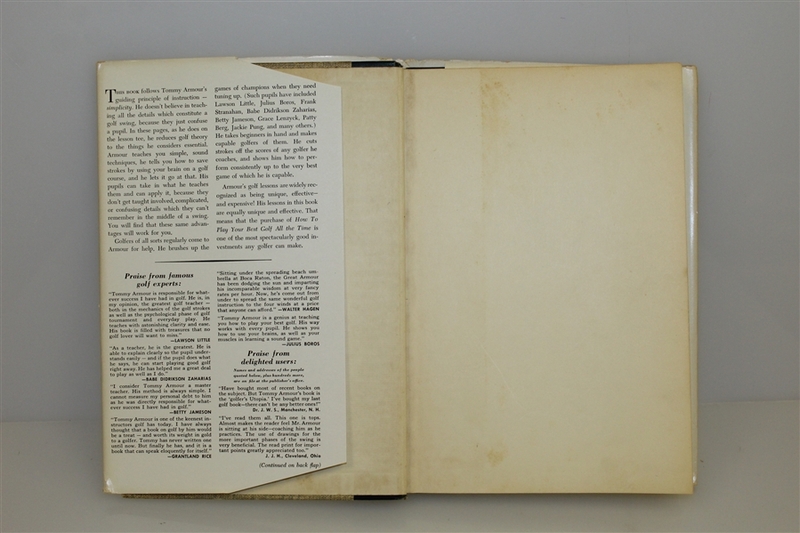 The book has no major discoloration and is all intact. Note that there is some natural wear from its many years in existence.